It was one of the best hotels I have ever stayed in! The Japanese breakfast was awesome, the room was beautiful and impeccably decorated in Japanese style. There was a very beautiful and pleasant private garden as well. On top of everything, the service was flawless. We would definitely stay in this hotel again. Everything. 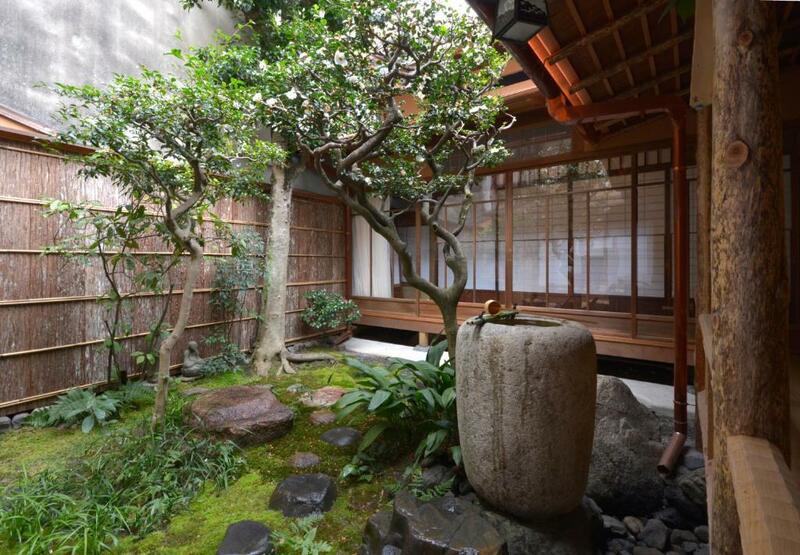 This ryokan is really beautiful, even pictures can't explain how beautiful it was. It was really peaceful and Muta family really treat us just like family. Mrs. Muta makes really delicious breakfast, I really recommend everyone to try their breakfast. And Ichigo Daifuku she made was the best ! And Mr. Bunichi Muta was really really helpful during our stay. The bathroom was really really pretty and not to mention the room and garden. It was really clean and only walking distance to Gion shijo, Kiyomizudera and few more famous temples in Kyoto. Lastly Mr. Muta even offer us to send our luggage to our next hotel which we're really thankful for. The most memorable stay ever. I'm really thankful for Muta family and will definitely comeback to stay here again next time. Perfect Private room accommodation. It is 150-year old house, but very clean and comfortable, feel like staying at home. The host family is very kind, the food made by hostess is fantastic. 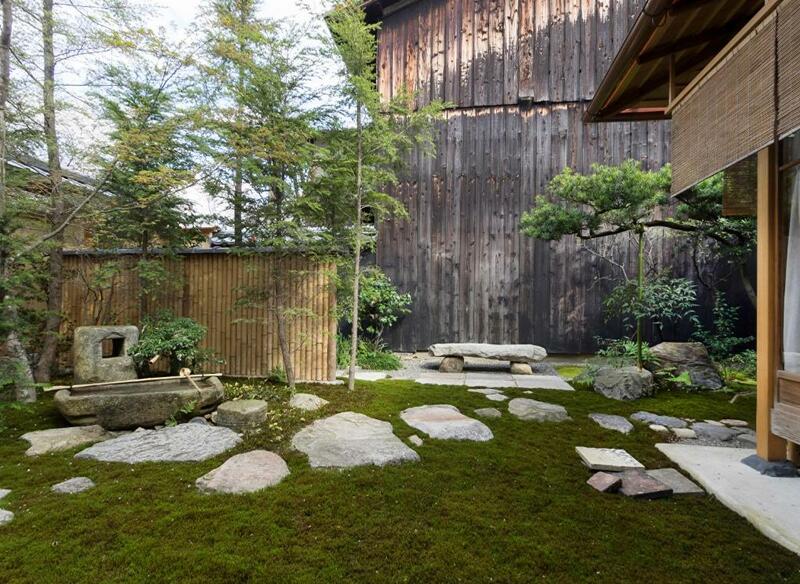 The secret garden behind the room is quiet and beautiful, you can read I the garden, enjoy the peaceful moment. 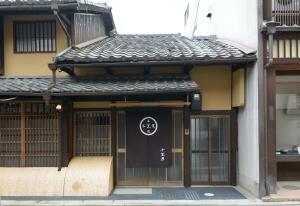 Strongly recommend this accommodation be your Kyoto selection, you must love it and enjoy talking with the host. Our hosts were beyond welcoming and took excellent care of us throughout our stay. Muta-san was quite proficient in English, making it easy to communicate and ask questions. The space itself was spacious with super comfortable futons and a great indoor bath. Everything was just PERFECT! We travel a lot and normally stay in 5star hotels but this time we wanted something a little more local. I must say it was probably the most memorable stay of our life. The place is just magic, as it only hosts couples or groups of no more than 4, we had the house just for us and felt like a local with all the luxury we are used to. The hosts are extremely caring and have 100% attention to every detail. Japanese breakfast was served in our tatami and it was so delicate and delicious (made by the owner) that it was a highlight of our trip. We will definitely come back soon! Gourmet Japanese breakfast in the morning that was beautiful and delicious. Even better than the pictures. Masumi our hostess takes pride in her cooking and she loved to see us enjoy her accomplished cooking as well as teach us what we were eating. Would definitely recommend friends and family to stay here. The host family are very kind and maintain a very well kept beautiful traditional japanese style home. They assisted us with restaurant reservations which was helpful because we don’t speak japanese well. There are actually two gardens to view from the rooms. The owners have beautiful antiques displayed throughout the property. We liked every single thing in this property. Everything was perfect starting from the hosting family, their warm hospitality, the interior of the more than 100 years old house, the antiques, the gardens, the back yard garden and the secretive door that takes you to the beautiful riverside. We extremely liked everything about this stay which was the best and one of the memorable stays we have ever had during our trip in Japan. We would like to thank the hosting family who were realy like our Japanese family otou-san , okaa-san and onii-san thank you. They helped us alot during our stay. Okaa-san’s homemade food was the best. Otou-san’s way of drawing maps to explain the area was the best and very simple to understand . In addition, He is the best tour guide. Moreover, the room was extremely comfortable, they provided a quality and excellent amenities. The snack (strawberry Mochi) made by the owner is amazing!! The calligraphy and art hung in the room are full of history. For those from East Asia, you will be able to appreciate it. The hosts were very welcoming and extremely helpful. The Japanese breakfast were superb. The location is excellent and the rooms are spacious with views and access out into the lovely courtyard gardens - we couldn't have asked for more! Lock in a great price for Jeugiya – rated 9.9 by recent guests! Jeugiya This rating is a reflection of how the property compares to the industry standard when it comes to price, facilities and services available. It's based on a self-evaluation by the property. Use this rating to help choose your stay! One of our best sellers in Kyoto! A 5-minute walk from Gion-Shijo Station, Yasaka Shrine and Chion-In Temple will bring you to Jeugiya, a Japanese-style holiday home located in a quiet residential area of central Kyoto. The entire house can be rented by 1 group with up to 4 guests. A garden, free WiFi access, a Western dining area and grocery delivery service are all on offer here. 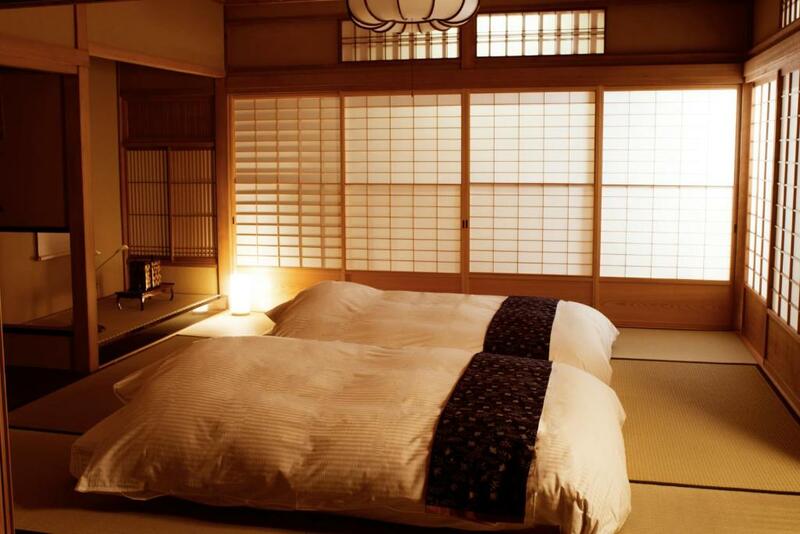 Jeguiya features a serene Japanese interior with tatami (woven-straw) flooring and traditional futon bedding. There’s also a seating area with modern lounging chairs, while amenities include a TV with satellite channels, a fridge and an electric kettle. 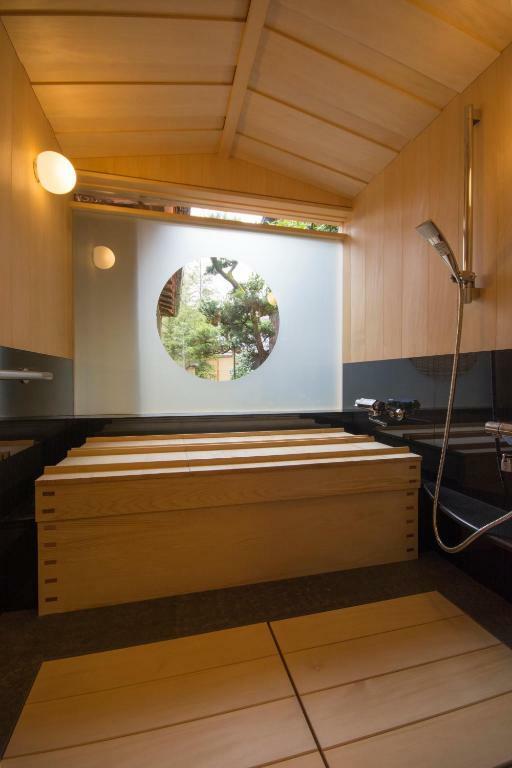 The house includes a modern toilet and a bathroom with a wooden bathtub. Breakfast can be arranged upon request. Shops and restaurants can be found within a 10-minute walk. 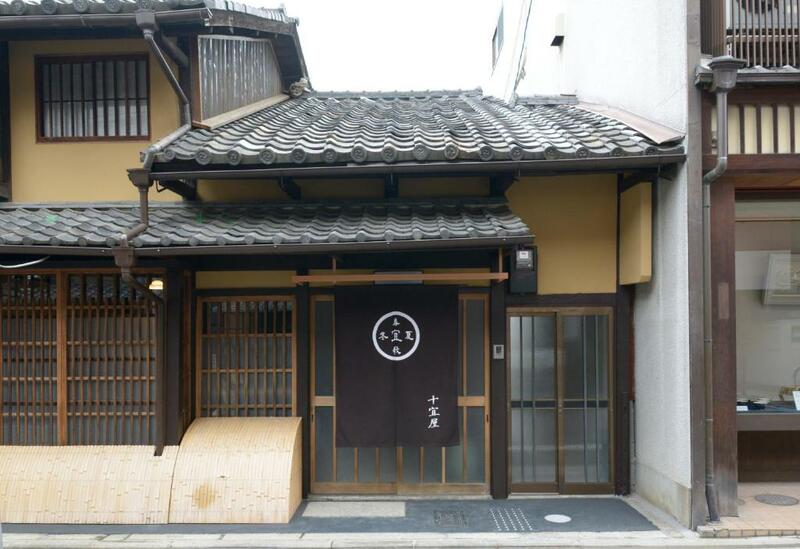 Higashiyama Ward is a great choice for travelers interested in old-town exploration, ancient landmarks and city walks. 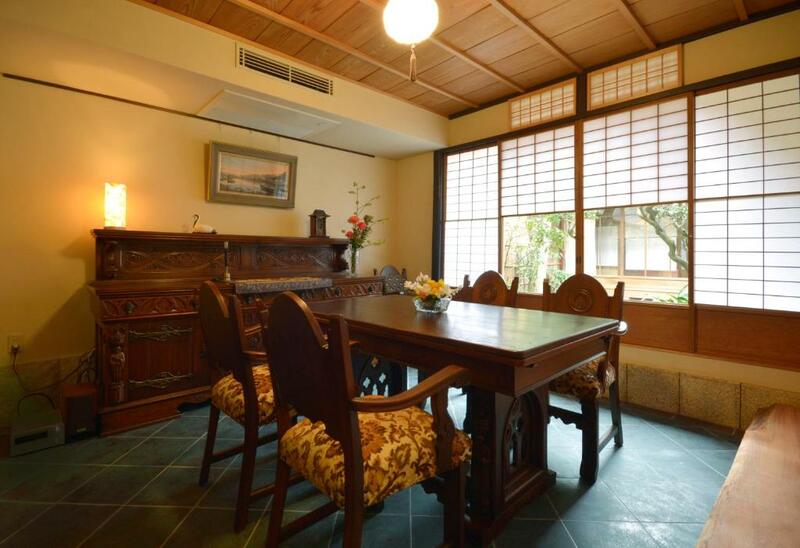 뀐 Located in the top-rated area in Kyoto, this property has an excellent location score of 9.9! When would you like to stay at Jeugiya? 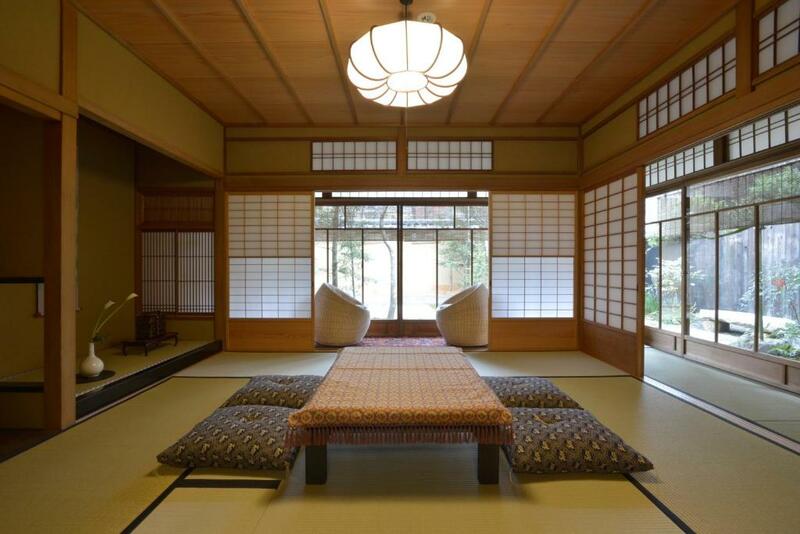 This room features a serene Japanese interior, a tatami (woven-straw) floor with a low table and seating cushions. Guests sleep in traditional futon bedding. The futons are of semi-double size, 77 in long and 47 in wide. The entire house can be rented by 1 group with up to 4 guests. There is also a seating area with modern lounging chairs, while amenities include a TV with satellite channels, a fridge and an electric kettle. The house includes a modern toilet and a bathroom with a wooden bathtub. Area Info – This neighborhood is a great choice for travelers interested in old-town exploration, ancient landmarks and city walks – Check location Excellent location – show map Guests loved walking around the neighborhood! House Rules Jeugiya takes special requests – add in the next step! Jeugiya accepts these cards and reserves the right to temporarily hold an amount prior to arrival. Please note that adult rates apply to children who are 12 years old and older. Please also note that this is an adult-only property. Please inform Jeugiya of your expected arrival time in advance. You can use the Special Requests box when booking, or contact the property directly using the contact details in your confirmation. 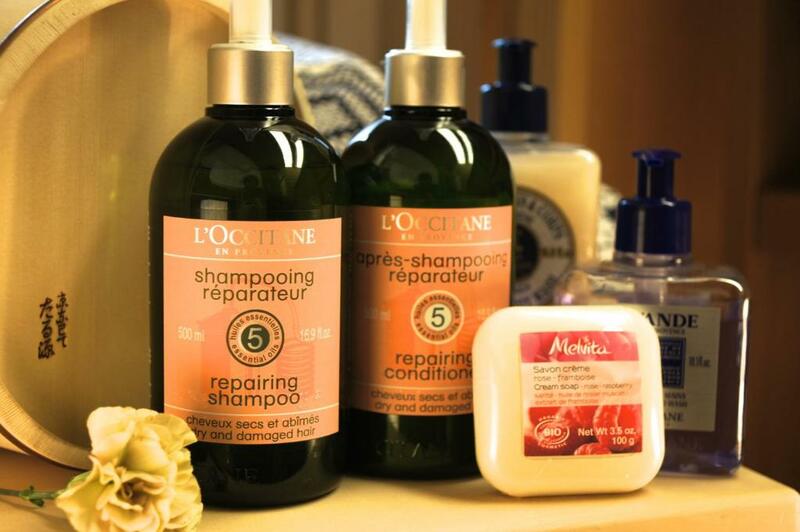 We have no complaints about this stay. Everything was exceptionally clean, the hosts were attentive and overly helpful, and we couldn't have imagined a better first 3 nights in Kyoto! Nothing ! I wish I could stay longer there ! Nothing. Will definitely come back. Everything was perfect. Do not miss the welcome dessert and Macha tea prepared by the hostess. Also her breakfast is a must-try. The whole family is warm and helpful. They offered to drive us to the Kyoto Station the day we checked out. The house is over a century old as a legacy from the host’s father. But the facility and accommodation feel very comfortable. Everything.We've stayed at several nice machiya hotels in Kyoto before and this is definitely the BEST of all.We felt so lucky that we chose Jeugiya and stayed with the family. The only downside is we couldn't have stayed longer. The room is nice and comfortable. It feels like living in a real Japanese style house and like a home! It is super clean. The location is perfect. All facilities in the room are perfect. We enjoy the stay very much! W will definitely come again! We loved everything!! !the ryokan is traditional,spacious with 2 gardens and a very nice bathroom.The hosts are the nicest persons who helped us with absolutely everything.Best ryokan in Kyoto!